SEASON 2 PREMIERE. 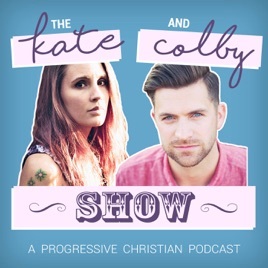 Happy New Year and welcome back to The Kate and Colby Show! We're starting our second season by answering YOUR questions! You've been talking to us, and we're excited to respond to some of the great comments and questions you've sent our way. Today, we're responding to Mackenzie who asked: how do I move from a worldview that says "you are completely sinful" to one that says "you are beloved and good?" Join us as we talk about why it matters that we believe in our inherent goodness, and how that changes how we look at everything—the world, people, the Bible, and more.